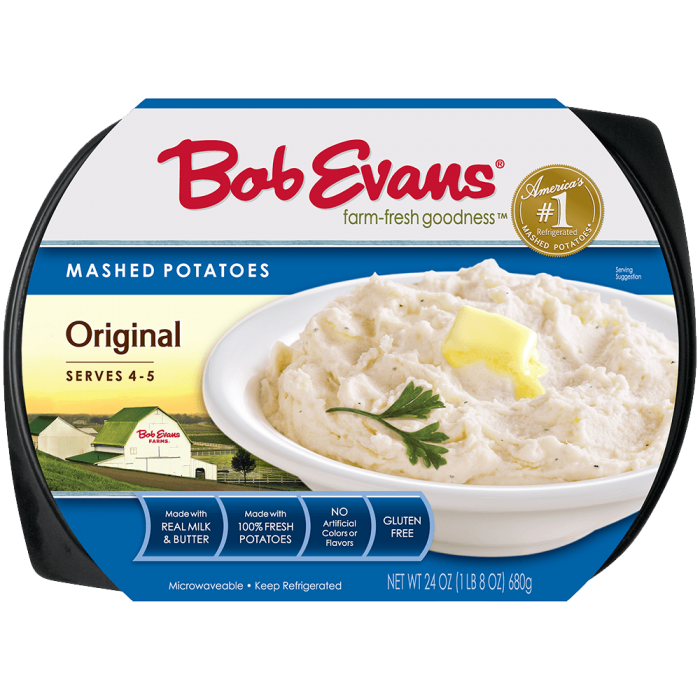 Our Original Mashed Potatoes and cheese make this classic comfort food extra savory! Brown meat in heavy medium ovenproof skillet; drain. Stir in frozen vegetables and gravy. Combine potatoes and VELVEETA; spread over meat mixture. Bake 20 to 25 minutes or until heated through and lightly browned. Serving Suggestion: Serve with a mixed green salad and your favorite fresh fruit to round out the meal. 2 Brown meat in heavy medium ovenproof skillet; drain. 3 Stir in frozen vegetables and gravy. 4 Combine potatoes and VELVEETA; spread over meat mixture. 5 Bake 20 to 25 minutes or until heated through and lightly browned. 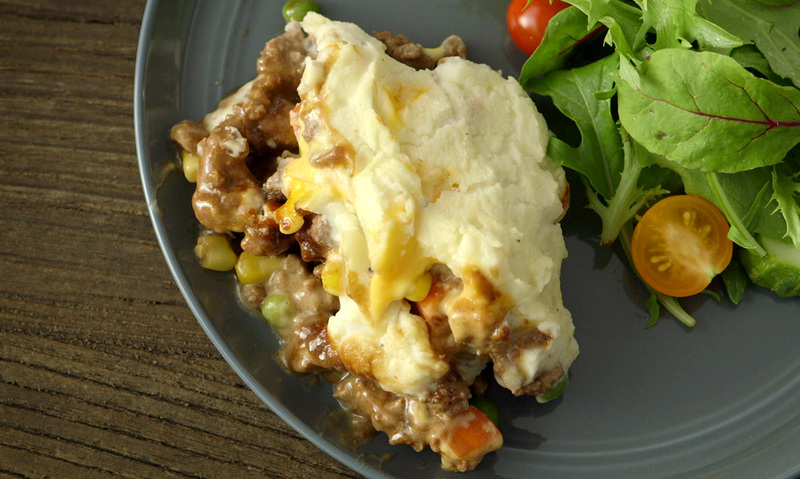 6 Serving Suggestion: Serve with a mixed green salad and your favorite fresh fruit to round out the meal.